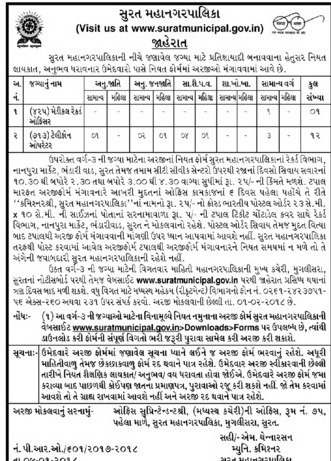 Surat Municipal Corporation (SMC) has published a Advertisement for below mentioned Posts 2018. Other details like age limit, educational qualification, selection process, application fee and how to apply are given below. How to Apply: Interested candidates are Send their certificates to given below address. Venue : Surat Municipal Corporation (SMC), Room No. 75, SMC, Muglisara, Surat.